It's been a busy week around here! The latest news? 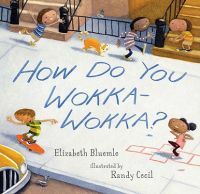 We are so happy to say that Elizabeth Bluemle has another picture book underway with editor Joan Powers at Candlewick, who has also worked with Elizabeth on My Father the Dog, Dogs on the Bed, and, most recently, How Do You Wokka-Wokka? The new story, Tap Tap Boom Boom, is a rhythmic verse in vintage Bluemle style, celebrating rain, and in particular, the way a big rainstorm can drive city dwellers together to wait it out, turning strangers into friends. It's been a busy week! We are happy to announce yet another deal for Mary Lyn Ray, whose picture book DEER DANCER was just signed by Allyn Johnston of Beach Lane Books. Allyn signed Mary Lyn's THE STAR BOOK this summer, as well; it will be out next year with stunning art by Marla Frazee. The illustrator of DEER DANCER, which is a poetic text about a young dancer who finds inspiration (and a hint of friendship) in nature, will be Lauren Stringer, who also illustrated Mary Lyn's RED RUBBER BOOT DAY and MUD. Erin E. Moulton has been with EMLA since October 2009, at which time her debut middle-grade novel sold to Jill Santopolo at Philomel in just two weeks! That book, now titled Flutter, is due out in summer 2010.—And now, there’s even more good news: This week, Erin accepted an offer for a second stand-alone middle-grade novel: Lanternlight Dreamers, again from Jill Santopolo at Philomel/Penguin. Lanternlight Dreamer tells the story of Indie, an eleven-year-old girl who has never felt quite as pretty, nor as strong, nor as smart as her other siblings. It takes a very special friendship, and a treehouse, and a top-secret club, to start Indie on the road to learning that acceptance has to come from within herself before she can find it in those around her. This is an extremely touching story that you won’t want to miss! The road from book to movie is long and winding, and it's not one that every book travels, not by any means. But when a movie producer is passionate about a book and has a strong vision for it and really wants to see a movie based on that book get made, it has a certain kind of thrill to it that's awfully hard to beat. We are so pleased that this is the case for Amy Green of One Eye Open, author Jennifer Ziegler, and How Not To Be Popular! EMLA co-agency The Gotham Group just brokered an option deal—and now we cross our fingers and wait for the next step, and the next, as the journey continues. How Not To Be Popular is about seventeen-year-old Sugar Magnolia Dempsey, who is tired of leaving friends behind every time her hippie parents decide to move. To avoid getting hurt at her newest destination, she plans to become unpopular, but her attempt at being a social pariah backfires when she finds herself with an unexpected following. The novel was a pick for the prestigious 2009-2010 Lone Star Reading List as well as the 2010 International Reading Association's Young Adults' Choices. Jenny's next novel, Sass and Serendipity, debuts in the spring from Delacorte, which also published How Not To Be Popular and Jenny's first novel, Alpha Dog. One Eye Open is a feature film and television production company specializing in bringing novel adaptations to the big and small screens. Thank you so much to all who helped make this happen! Do you believe it's already September? And so we welcome our latest new arrivals from EMLA authors! Immortal Beloved, first in a trilogy by Cate Tiernan, debuting Sept. 7 from Little, Brown. 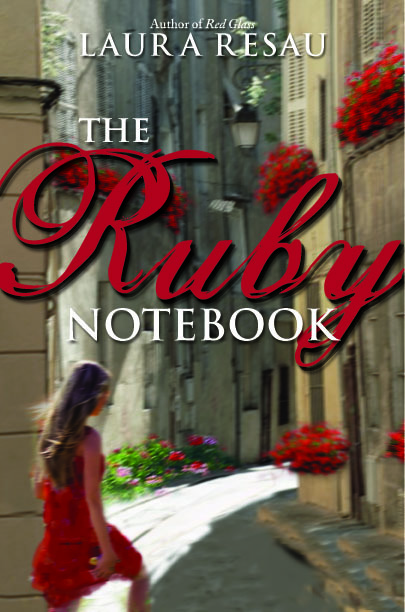 The Ruby Notebook, Laura Resau's sequel to The Indigo Notebook, debuting Sept. 14 from Delacorte. And extra congratulations to both authors, as these books hit the shelves with one starred review each under their metaphorical belts—from PW for Immortal Beloved, and from Kirkus for The Ruby Notebook. 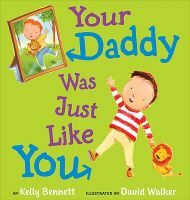 This spring saw the debut of Kelly Bennett's Your Daddy Was Just Like You, just in time for Father's Day—and next spring, Your Mommy Was Just Like You will hit shelves just in time for Mother's Day, of course! 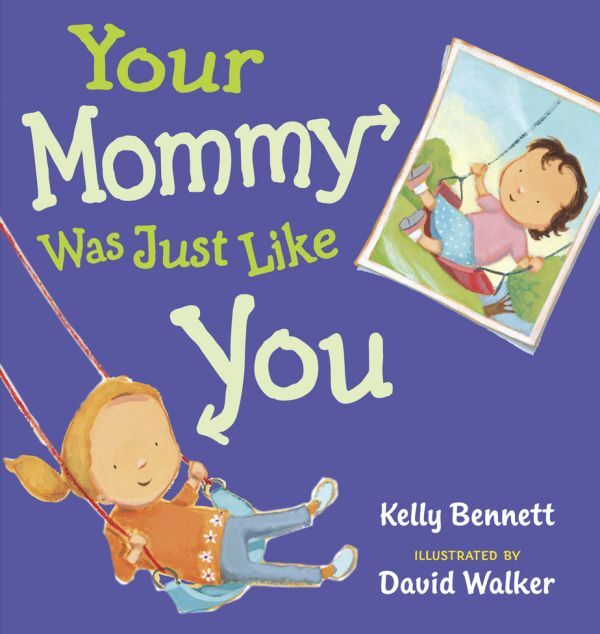 Both books focus on connections sweet and not-as-sweet, have lovely artwork by the incomparable David Walker, and are published by Putnam—and the cover of the mommy book shows two adorable girls who are alike but different. Such fun!